Below Is a Bio Of Bishop, Michael Neal's' First Pastor and the one who had the Most Influence on Him. 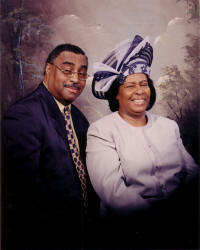 This Great man of God Passed away Feb 29th, 2008 He will be greatly missed and will always be in my heart and Mind. He has gone on to the road to Glory his work is done, he did a great Fight and he has finished his course. he has put up treasures on high, he is at rest. Bishop, Booker Bio. was born on May 30, 1946 in Waco, Madison County, Kentucky. Bishop Booker was one of nine children. His mother was Mrs. Lena Mae Booker and his father was Mr. Odell Booker, both of who are deceased. Bishop grew up on Kenton Street in Lexington, Kentucky. In October 1964, Bishop married Mary Shannon. The Bookers had four children, Sherry Jean Booker (deceased), Lucrecia Booker-Weathers, Lucian Dell Booker Jr., and Dena Booker-Dunn. The Bishop and his wife are also raising a granddaughter, Sharelle Booker. Bishop Booker sought the Lord in secret for over five years before being baptized in the Name of Jesus Christ under the Pastorate of the late District Elder Robert Lewis in 1966. 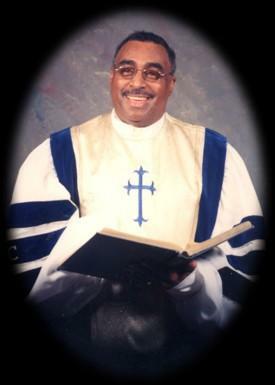 Bishop Booker served as Associate Pastor under Pastor Anna Davis at Christ Temple New Assembly and under the late District Elder Robert Lewis at the Church of God In Jesus Name. In October 1977, at the time Elder Booker, was led by the Lord to open his own church. The Lord even gave him the name for the church: Soul Deliverance Tabernacle. For over 24 years Bishop Booker has labored for the deliverance of souls from alcohol, drugs, and many other demonic spirits. Even during his sickness where he himself was dying, Bishop continued to labor in the vineyard, laying hands and praying for the deliverance of others. 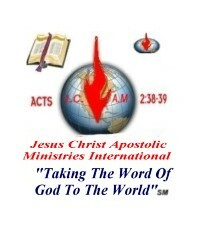 I myself am a witness of this great man of God. When I came into the church in 1979, I was an alcoholic, drug abuser, and had a bunch of those "bad boys" on me and in me. There are many members here today that can testify of the deliverance brought in their lives under the Pastorate of Bishop Booker. Bishop is a strong believer in the laying on of hands and many of us received the Holy Ghost through this process. Bishop is a man of faith and a very strong believer in prayer. He is a very strong believer in fasting, having fasted three days a week for an entire year and never missing a fast. Matthew 17:21 says, "Howbeit this kind goeth not out but by prayer and fasting". Through his prayer and fasting, many in this congregation have witnessed many moves of God. We witnessed a man who was confined to a wheel chair get up, and that man walked out of the church on his own in Wheelwright, Kentucky. We have had healings and deliverance from many different sicknesses and diseases. My wife is a witness. I found her one morning on the floor in our home, not breathing. After taking her to the hospital, the doctors said she needed blood transfusions. My wife refused the transfusions and was told by the doctors what could possibly happen without them. My Bishop prayed for her that morning and through his prayers and faith and my wife's faith, God did the transfusions and they released her from the hospital that evening. There are many others that can tell of similar situations. Our Bishop has a very simple method of operation. These are prayer, fasting, reading the Word, and living Holy. His method of operation is following that Ancient Landmark as mentioned in the Bible. His method of operation is practicing the Fruits of the Spirit as given in Galatians 5:22 and in Ephesians 5:9; as follows, "For the fruit of the Spirit is in all goodness and righteousness and truth". His method of operation is preaching the unadulterated truth. His method of operation is doing the will of the Lord. And finally Bishop, what is our legacy to this world? Many of us may never become famous or rich. Many of us may never be in the history books for things that we do, but because of your teaching, preaching, and example, you have instilled in this congregation a legacy that will be eternal, and that legacy that we as a congregation want to be able to say on that Great Day, "I PLEASED GOD"!!! !